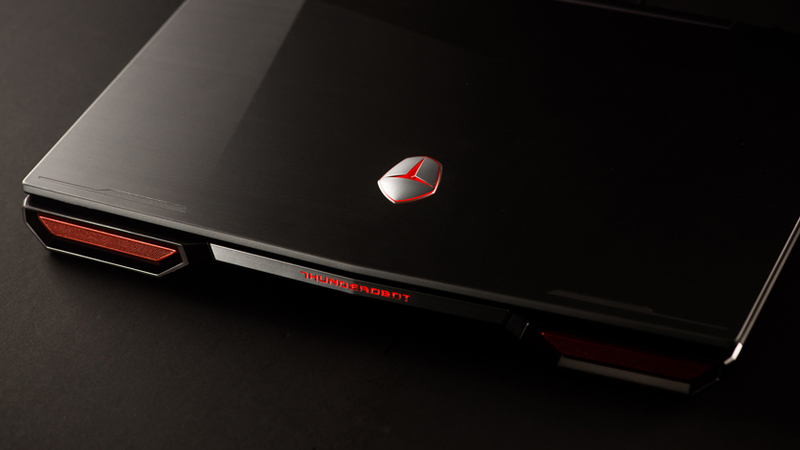 It seems we forgot how a gaming laptop should look. But in Thunderobot remember. The manufacturer ignored new trends, so the 911GT appeared before us in all the glory of gaming aesthetics, radiating power and healthy aggression. And the filling is nowhere more powerful – let’s check it in action. It is worth taking the box with the Thunderobot 911GT in hand to understand: this thing just has to be powerful and tear up any games in all modes, like the Tuzik heater. 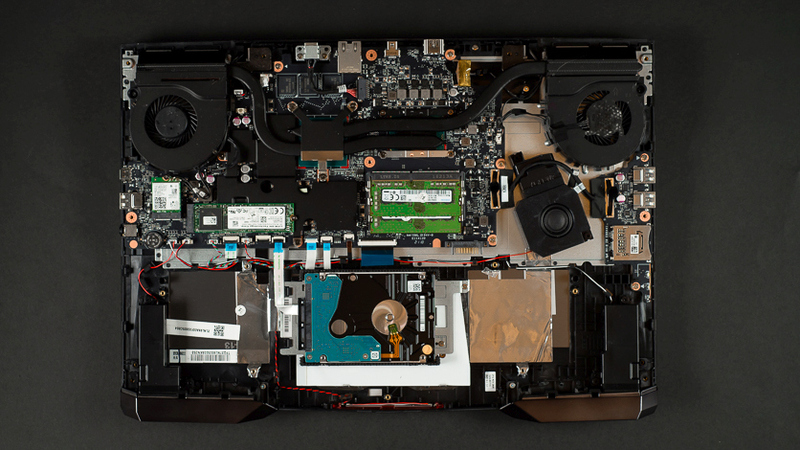 It’s no joke, along with the power supply and packaging, the weight of the laptop reaches seven kilograms – some desktops will be lighter. The feeling does not disappear even after unpacking. Massive, aggressive Thunderobot 911GT radiates power. The novelty laughs in the face of fans of sterile aesthetics, proudly flaunting its purpose. Large illuminated logo, broken lid lines, styled speakers for air intakes and cooling system “nozzles” – is the coolness counter still going off scale? Then add a glowing inscription with the name of the company and the bright red color of some elements. Its predecessor was exactly the same, but the manufacturer updated the iron, retaining the design. The mobility of the Thunderobot 911GT is limited. With this, it is not so convenient to type the text while lying on the couch, and once again it is not a hunt to move – such a colossus will not fit into every backpack, not to mention the weight. One power supply weighs nearly a couple of kilos. There are, however, disadvantages. 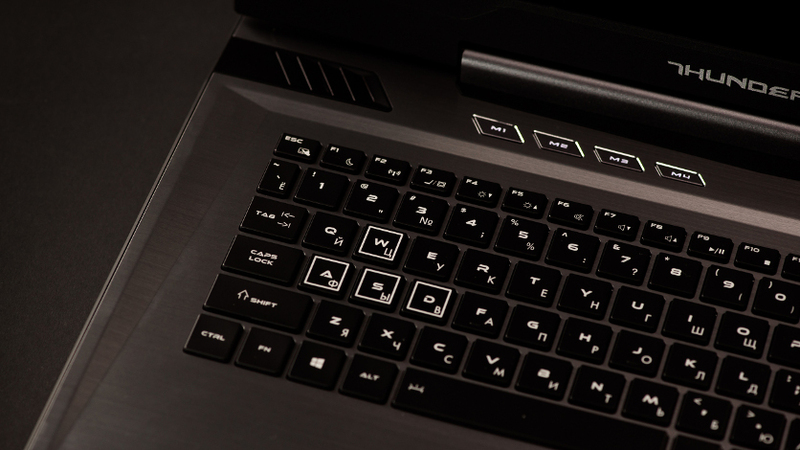 The keyboard of the Thunderobot 911GT is stiff and designed so that it requires hitting the center of the button. Not the most profitable option for eSports, where you need a clear and fast response when pressed. So for best results, it is better to connect a third-party device. 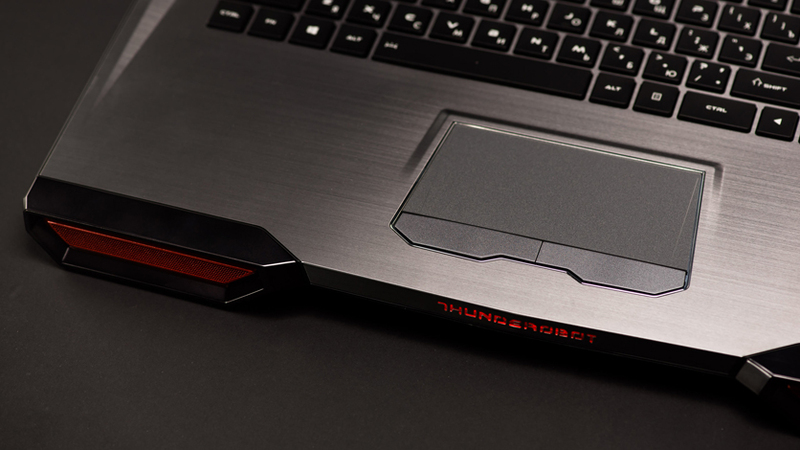 Having supplied Thunderobot 911GT with a bright design, the manufacturer did not forget about what is really important for a gaming laptop. Inside there is a modern Intel Core i7-8750H processor, a GeForce GTX 1060 video accelerator from NVIDIA with 6 GB of onboard GDDR5 and 16 GB of fast DDR4 memory. There are a couple of drives for installing programs and storing data. The first, high-speed SSD with NVMe interface, is good for OS and other applications demanding speed of access. The second is the traditional HDD: it is not so fast, but it has a volume of 1 TB. Separately, it is worthwhile to dwell on the processor, which has become the most significant change relative to the previous modification of the Thunderobot 911GT. The eighth generation of Intel processors surpasses its predecessors in almost all parameters. 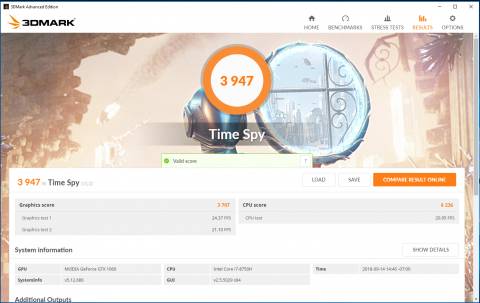 The Core i7-8750H, installed in the review hero, received six physical cores, each of which is capable of processing data in two streams. 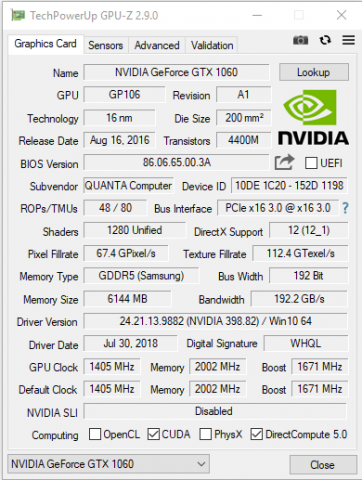 A noticeable increase, if compared with the 4/8 formula, which is relevant for the Core i7-7700HQ model, was exactly the same as last year’s 911GT. Together with the cores, the L3 cache has also grown – from 6 to 9 MB. The only thing in which the old processor model surpasses the beginner is the base frequency. 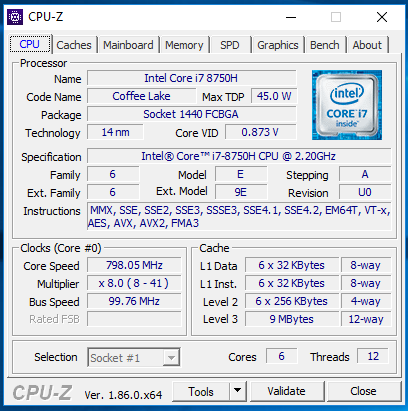 In the Core i7-7700HQ, it is 2800 MHz, and in the fresh Core i7-8750H it is 2200 MHz. 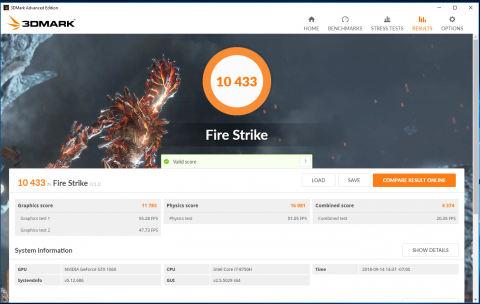 But the system of automatic overclocking of individual cores in the new product works more efficiently and reaches an impressive 4100 MHz against the 3800 MHz of its predecessor. Remarkably, with all the improvements, the heat emission of the new processor did not increase. 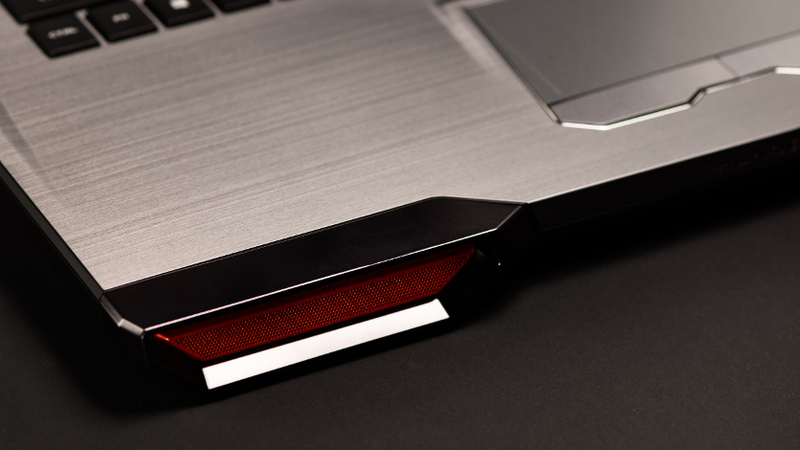 This does not guarantee complete silence – the cooling system of a laptop will surely make itself felt with characteristic noise. But the design does not overheat. So, during testing, the temperature of the graphics chip did not rise above 78. In combat, the device did not lose face. Let’s start with synthetic benchmarks. 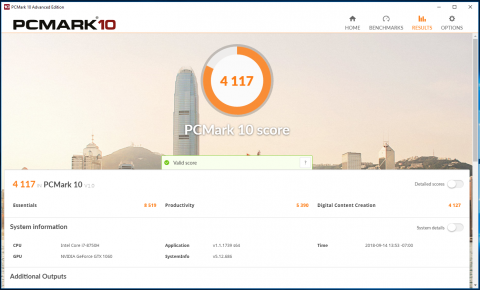 That in PCMark 10, which determines the overall potential of the system, that in a more specialized 3DMark model showed itself from the best side. 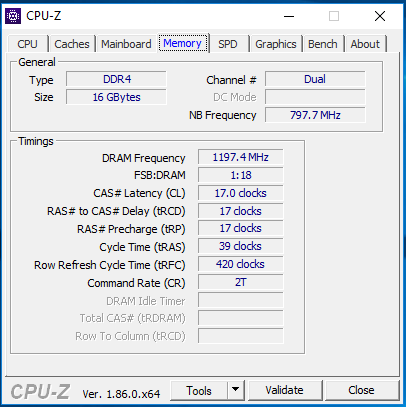 Of particular interest are processor tests, where a clear advantage of the six-core solution over past solutions is noticeable. In games, the trend has continued. You can not frowning to run any modern titles in Full HD and at maximum settings. Much of the entertainment in this mode gives the reference 60 fps, and even higher. Thunderobot 911GT brilliantly copes with what it was created for. Powerful stuffing, high-quality sound and a display with a frequency of 144 Hz allow you to fully plunge into the gameplay. But if necessary, the laptop copes with other tasks. Processing of large images, video editing – thanks to solid characteristics, the review hero is good everywhere. Moreover, the Thunderobot notebooks are subject to a Russian warranty.